Which look is your favorite?! 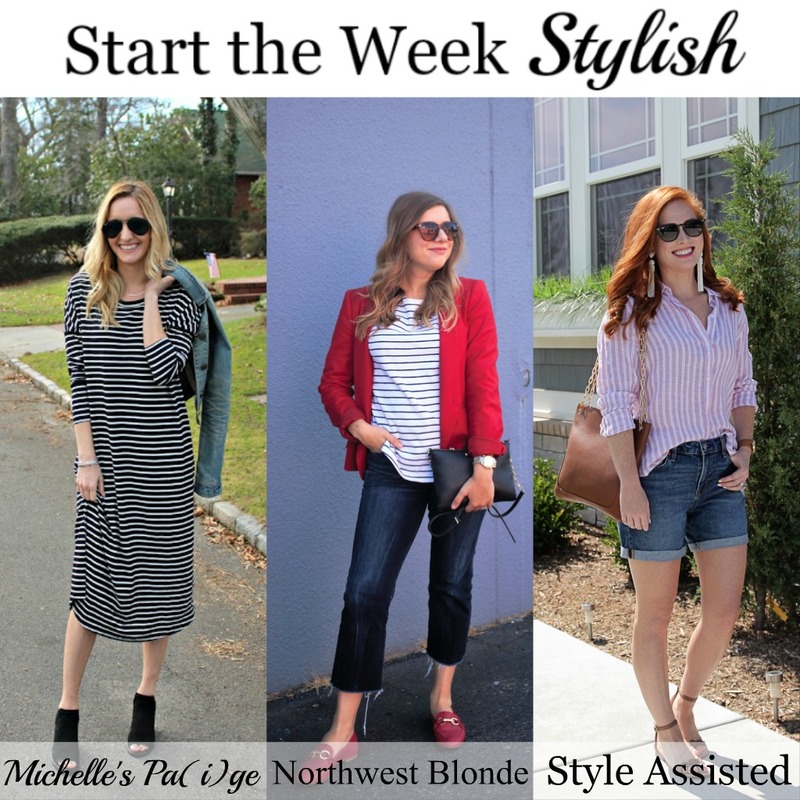 Share your favorite way to style stripes in our link up this week! I can't wait to check out your looks! Stripes really are perfect for anytime...I totally agree!! 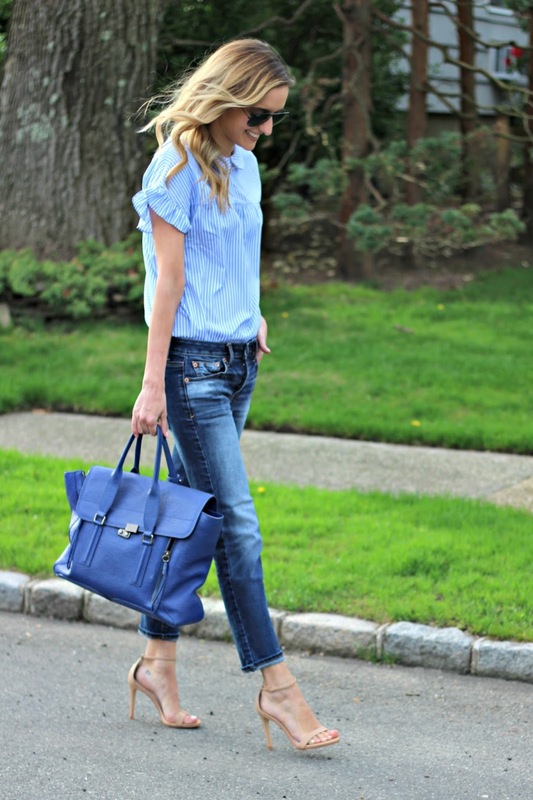 In fact, that's what I'm wearing on Instagram today (@jtouchofstyle)!! Great minds think alike!! SO cute! Loving all the stripes! stripes always work and always look good. its such a safe print to go for. Stripes are such a classic! I'm loving all of your stripe looks! It's such a great classic print! Just love that look with the b/w striped dress, jacket and the red hunters. I have a red pair of hunters and I'm always looking for a new way to style them. Pinned! I'm a stripes fan, so thanks for all this info, it's a great collection of various stripes styles. And oh, that jumpsuit! Hugs, x.
I can never get enough stripes! Love all these looks Michelle! Stripes are seasonless, for sure! Loving these looks! Stripes are the best! All of these looks are amazing, but I really love the stripe dress, trench coat and wellies, as well as the look with black watch plaid pants and striped top! SO pretty!! It's a fun rainy day outfit, right?! Great minds think alike! Can't wait to check out your post! Stripes is one of the few patterns that can't go old. It's a timeless classic, and it sure looks pretty on these outfits, especially the cozy sweater dress dear. They definitely are timeless! I wear them all the time!